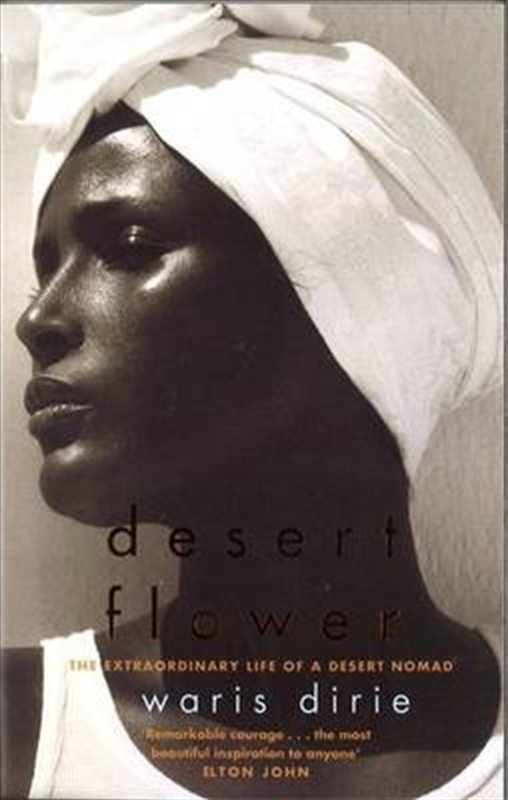 Waris Dirie (the name means desert flower) lives a double life - by day she is a famous model and UN spokeswoman on women's rights in Africa, at night she dreams of her native Somalia. Waris, one of 12 children, was born into a traditional family of desert nomads in East Africa. She remembers her early childhood as carefree- racing camels and moving on with her family to the next grazing spot - until it came her turn to meet the old woman who administered the ancient custom imposed on most Somalian girls: circumcision. Waris suffered this torture when she was just five years old. Then, aged 12, when her father attempted to arrange a marriage with a 60 year old stranger in exchange for five camels - she took flight. After an extraordinary escape through the dangerous desert she made her way to London and worked as a maid for the Somalian ambassador until that family returned home. Penniless and speaking little English, she became a janitor in McDonalds where she was famously discovered by a fashion photographer. Her story is a truly inspirational and extraordinary self-portrait of a remarkable woman whose spirit is as breathtaking as her beauty.